Land around Drury and Pukekohe will change to largely urban. 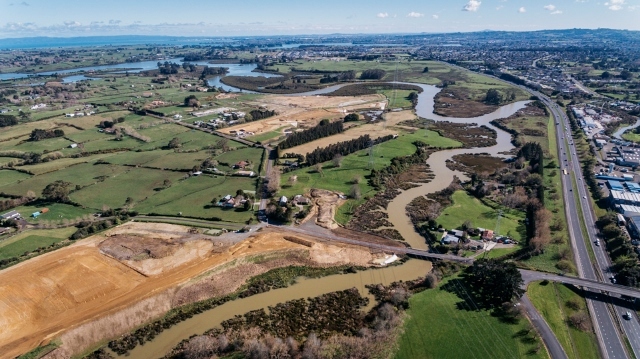 Land around Drury and Pukekohe-Paerata has been identified for future urban development to accommodate significant growth over the next 10-20 years. The council is preparing structure plans for the two areas and is seeking public feedback on the opportunities and constraints for housing and business development. Feedback opens on Monday 25 September and closes on 20 October. The feedback will inform draft structure plans that will be open for formal consultation in early 2018. Franklin Local Board chair Angela Fulljames said it heard a lot from its community on the impacts of growth on the area during recent consultation on its draft local board plan and encouraged locals to get involved in this process. “People who live in Franklin understand growth is coming, which can pose challenges but when planned well can deliver lifestyle opportunities and better amenities, therefore I urge people to have input early and be part of the concept stage,” she said. Structure planning is the first step in considering how and when Future Urban zoned land should be made available for urban development. It enables the council to identify, investigate and address the potential effects of development on natural and physical resources in the structure plan area including natural heritage, mana whenua, coastal environment, historic heritage and special character, and neighbouring areas. Papakura Local Board chair Brent Catchpole is also encouraging local residents to take part in the process. More information is available on shapeauckland.co.nz including feedback forms, maps, and background documents.